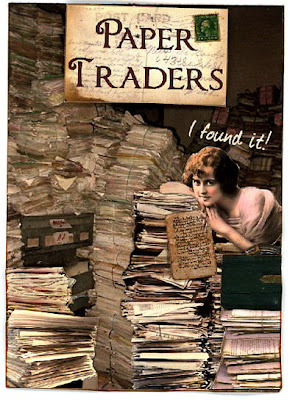 I made this ATC for our Paper Traders Yahoo group where it was featured on the front page. 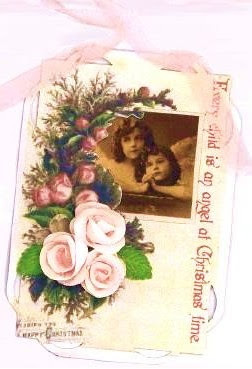 ATCs made for Lenna's Artchix Christmas Ornament Swap. 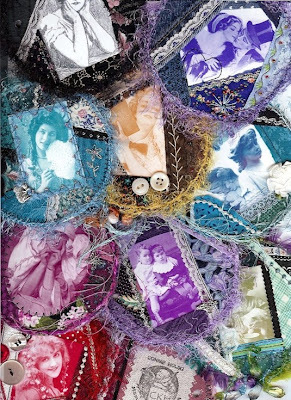 Each had a different transparency of angel children on them but all featured the 3-D roses which were made using Coronado Island Bloomers stamps. 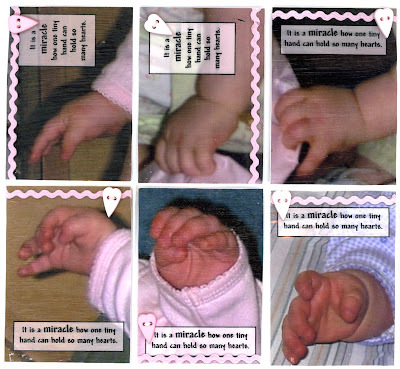 These ATCs from the Mudra Swap feature photos of my granddaughter's precious hands. 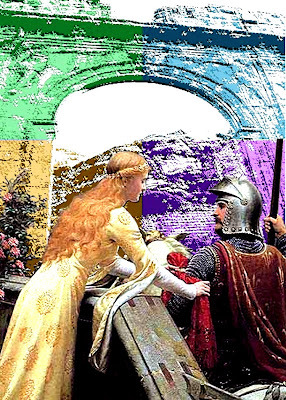 Here are some pages I made for Lenna's 7 gypsies circle book swap. They are fabric with embellishments added.